The majority of business owners believe that their family or the family of their business partners will still be managing their company in the future. But the numbers tell a different story. Most closely held small businesses do not survive the transition to the next generation of ownership. A Fortune magazine survey discovered that only about 33% of businesses survive the transition to the second generation, and less than 12% make it to the third generation. The failure in many cases is due to the lack of a viable, written succession plan. 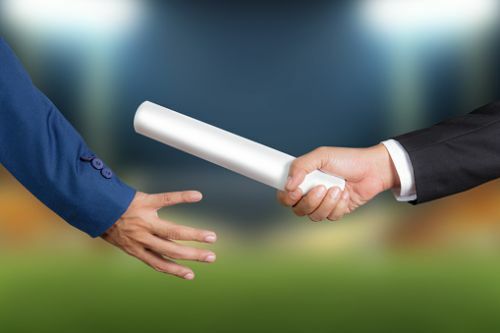 A business succession plan is an agreed upon, legally binding document that outlines what happens at the retirement, death or disability of an owner. Plans may also include provisions for other situations, such as personal bankruptcy, divorce, felony conviction and/or loss of required licenses. Who will own and control the business; this often differs from who runs the business and might include a surviving parent; other children or family members; or a partner’s family. This can also create conflicts since they may have different priorities. To avoid conflict, what method and who will determine the value of the business. Offering the other owners a right of first refusal. Cross Purchase in which the co-owner(s) buy out the interest of the deceased or departing owner. Entity (or sometimes called stock redemption) which has the company buying the owner’s interest. Wait and see which lets the company and co-owners wait until a triggering event actually occurs and then, based on financial and tax issues, decide how to proceed. In some cases, a combination of sources may be used, for example, an initial lump sum with a series of payments. Generally, insurance is the most realistic funding method. Maintaining large amounts of liquid assets is not realistic for most small businesses that need to put their money to work and, without making personal guarantees, getting a loan large enough to fund a buyout on short notice could be difficult. Also, with the loss of an owner the company’s revenues could decline making it difficult to fund an installment sale from cash flow. Purchasing life and disability insurance on each owner helps transfer much of the risk to an insurance company in exchange for an incremental premium payment and also helps time liquidity to a triggering event. In a cross-purchase agreement, the co-owner (or if there are several owners a trustee) owns and is the beneficiary of the life insurance. Under an Entity plan the company owns and is the beneficiary of the life insurance. In either case, the succession plans obligates the deceased owner’s estate to sell and the surviving owner (or company) to buy the interest in the business. Disability benefits are paid to the insured, and the succession plan would also outline what happens if the owner were unable to work and receiving a benefit, rather than deceased. Depending on the situation, either term or permanent life insurance, or a combination of the two, could be used to fund a succession plan. Term coverage is often lower in cost and makes sense if a specific timetable if known. For instance, a 45-year-old owner will retire in 20 years at age 65. However, term coverage does not build a cash value which means in 20 years the company still needs to come up with funds to buy out the owner. If a permanent insurance were purchased any accumulated cash value in the policy could be used to help fund the buyout at retirement or in the event of a disability. There are several kinds of disability insurance that can be used in a business succession plan. Disability income coverage is designed to replace an owner’s income. While disability buyout coverage provides a lump sum benefit, usually after a long elimination period, which can be part of the buyout plan. With either kind of disability coverage, the remaining owners will not have to fully fund the buyout from business cash flow, debt or personal proceeds. Owners realize that if they or another owner can’t work or suddenly passes away the effects of their absence on the business can be devastating. Operations are disrupted, revenues can decline and new employees may have to be hired. In addition, the remaining owner(s) may have difficulty raising the money needed to fund a buyout and need to be concerned that the disabled or deceased owner’s spouse, ex-spouse and/or children, whose lifestyle may depend on cash flow from the business, try to interfere with how the business is being managed. A well thought out, and funded succession plan can help resolve many of these problems and avoid an expensive and disruptive legal battle.